As data center demand continues to increase, the number of underutilized systems continues to grow, resulting in extremely large, complex, and costly infrastructure and high capital expenditures (CapEx) and operating expenses (OpEx). Additionally, costs associated with power, cooling, and space increase as infrastructure grows. 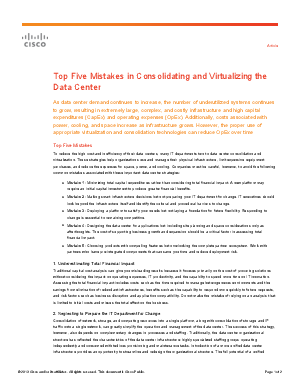 However, the proper use of appropriate virtualization and consolidation technologies can reduce OpEx over time.